The medical field is one or the fastest growing segments of the job market, and nursing is no exception. In order to help finance your degree many top nursing schools, corporations, and other organizations offer scholarships that pay part or all of your education costs. These are the Top 10 nursing scholarships available and what you need to do to qualify for them. The Future Care Scholarship form Tylenol is available to any health profession student who has completed at least one full semester at an accredited college, university, or vocational school. The scholarships are awarded based on academic performance, leaderships skills, and involvement in the community. There are 10 $10,000 scholarships and 30 $5,000 scholarships available each year, and the deadline to apply is May 31 of each current school year. This company will award a $5,000 scholarship each year to the candidate who writes a winning 500+ word essay on why they are inspired to a career in the medical field. Applicants must be enrolled full-time in an accredited two or four-year undergraduate program or graduate program, be a U.S. citizen or legal resident, and ‘like’ the company on Facebook or Google+, or follow them on Twitter. Deadline for application is December 31 of each current year for the following school year. The MACF awards five $5,000 scholarships each year to nursing students who intend to practice in a cardiovascular-related field of nursing in the state of Maryland upon graduation. The scholarships are awarded to those students who display the qualities of compassion, leadership skills, and academic excellence. The deadline for application is May of the current school year for the following academic year. 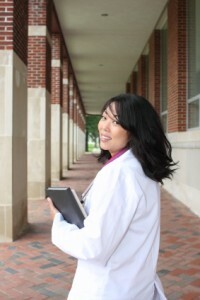 This scholarship pays for all educational costs plus a tax-free monthly living allowance for primary-care nursing students bound entering certain fields of healthcare and who agree to work in an under-served area for an equivalent amount of time; for example, two years of schooling (minimum) equals a two-year commitment to service. This is for students are who are attending or enrolled in an accredited RN certification program and who agree to serve for two years in an approved and understaffed healthcare facility after they graduate. The scholarship pays all educational costs and also provides a monthly living expense. This is a competitive scholarship for students who come from a low-income or disadvantaged background as defined by the U.S. Census Bureau criteria. It pays for the full cost of schooling plus living expenses within reason. In celebration of the release of their two documentaries entitled “A Nurse I Am,” Cherokee Uniforms is offering 10 $2,000 scholarships to students attending or enrolled in participating, accredited two or four-year nursing degree programs. Prospective recipients must see the films, write an essay based around one of the subjects of the films, ‘like’ the film’s Facebook page, and follow them on Twitter. The competition starts in November 2012 for the 2013 academic year. The average award is $2,500, and will be given to two prospects per year. The winning essays are decided by an online vote of nursing professionals, and the deadline for entry is January 31. The Campus RN Scholarship Fund is a fairly new national program created to work in conjunction with the state funds administered by this program. It provides six $2,000 annual scholarships that are awarded regionally: Northeast, Southeast, Midwest, South Central, Mountain, and Pacific. The scholarships are awarded to students who have been accepted to or attend an accredited nursing program at a registered school and are based on financial need and academic merit. The deadline to apply for these scholarships is April of the current year for the following academic year. This scholarship is from an endowment provided by the estate of Barbara Palo Foster, who died from cancer, and is administered by the Ulman Cancer Fund for Young Adults. It is for students who have a parent or guardian who is either battling cancer or has died from cancer. The endowment provides one $1,000 scholarship per academic year to students who are entering into the nursing profession. Aside from the above qualification, the scholarship is open to domestic or foreign students who are between the ages of 15 and 40 and are at least a senior in high school. The application deadline is April 1 of the current year for the following academic year. The Minority Nurse Scholarship is for any ethnic minority student who is currently entered into an undergraduate nursing program at an accredited four-year college or university. The fund provides two $1,000 scholarships and one $3,000 scholarship annually, based on financial need. Candidates must be in at least in their third year of college or in an accelerated Master’s degree preparation program, have a GPA of at least 3.0, be an ethnic minority, and a U.S. citizen or legal resident. Applicants must provide a copy of their transcript, a letter of recommendation from a faculty member, and a declaration of at least 250 words outlining their academic achievements, community service work, and future goals. The deadline for application is February 1 of the current academic year for the following school year. This fund provides a full scholarship each year to any student who has completed at least 30 hours of coursework in the field of nursing at an accredited two or four-year institution in the state of Kentucky. The Kentucky Community and Technical College System administers the fund, and it is based on financial need. Applicants must be entering their third year, have a GPA of at least 2.5, and provide documentation of their financial need. In addition, they must provide a one page essay stating their commitment to the nursing profession and outlining their personal values. The deadline for application is September of each academic year, and the number of awards is based on available funding.